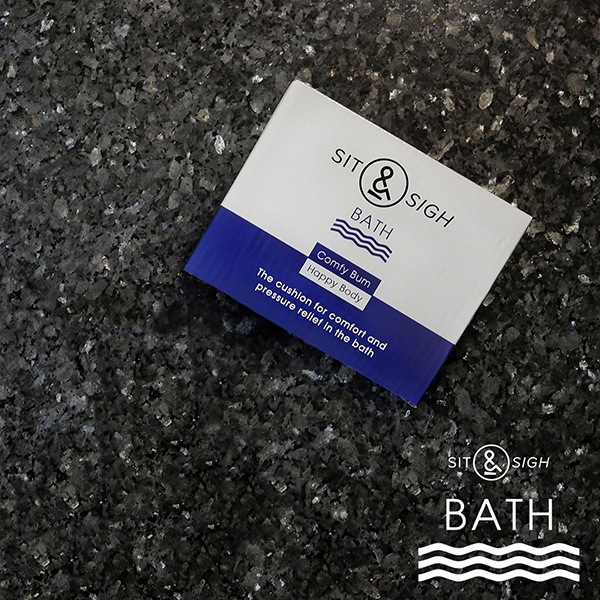 Comfort and pressure relief for a better, more soothing bath. 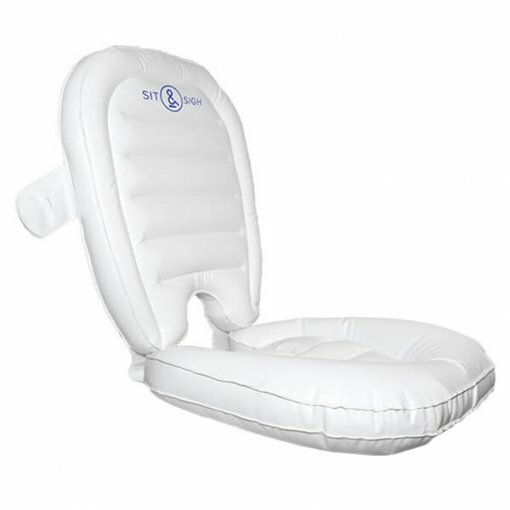 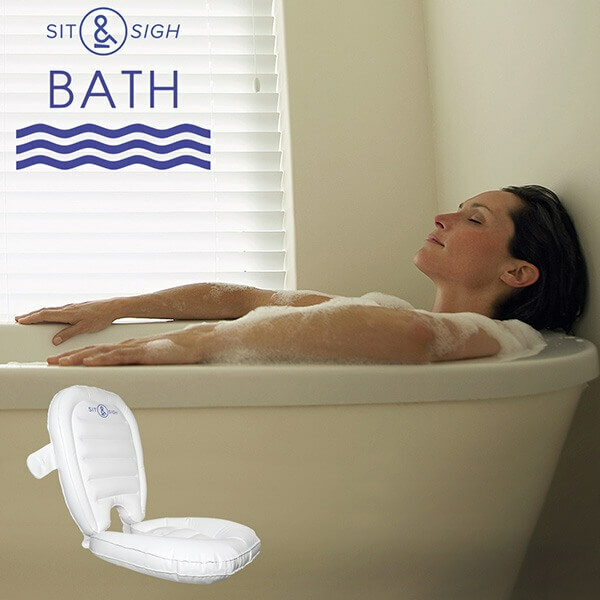 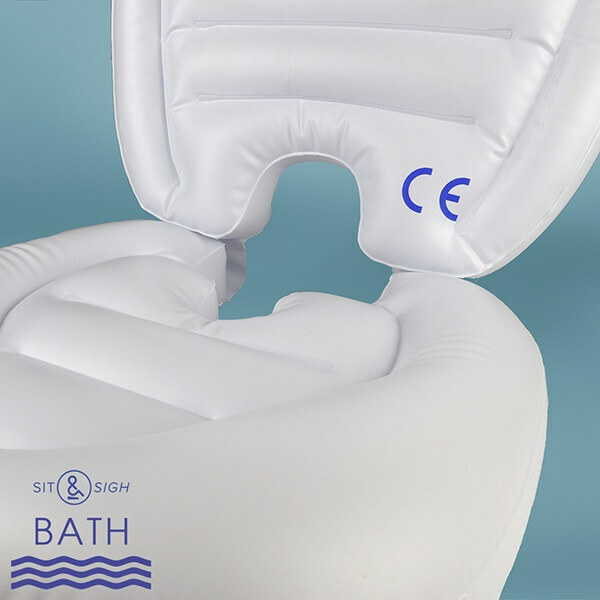 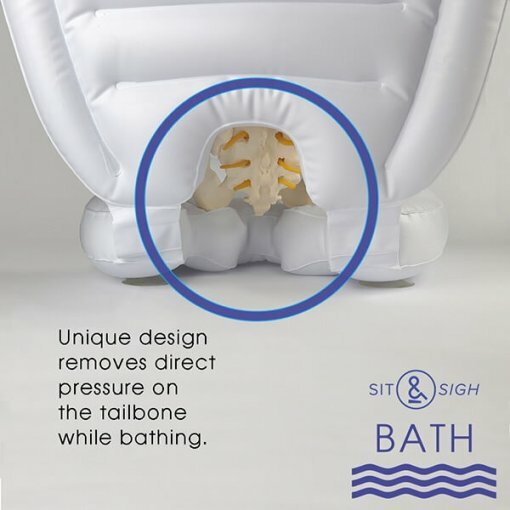 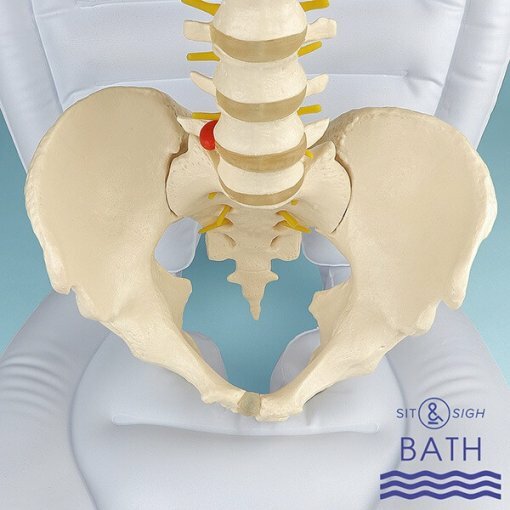 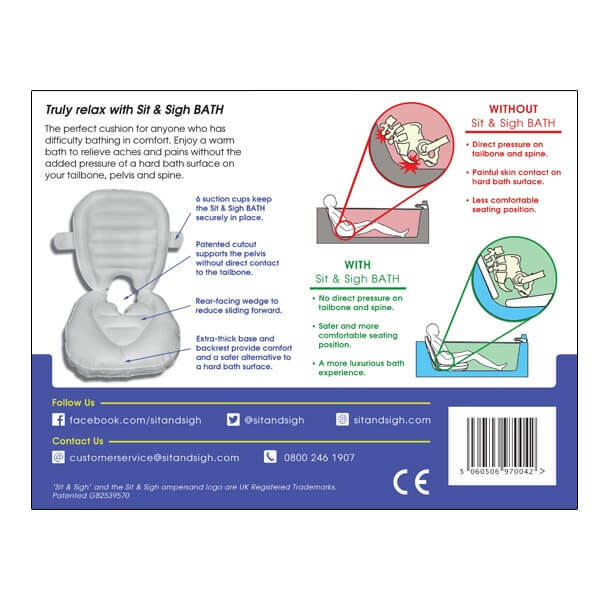 Sit & Sigh BATH is the solution for anyone who has difficulty bathing due to tailbone or low back pain. Sit comfortably and soothe away aches and pains. The clamshell design and our patented cutout shape supports your body while boosting you up and away from the hard bath surface. 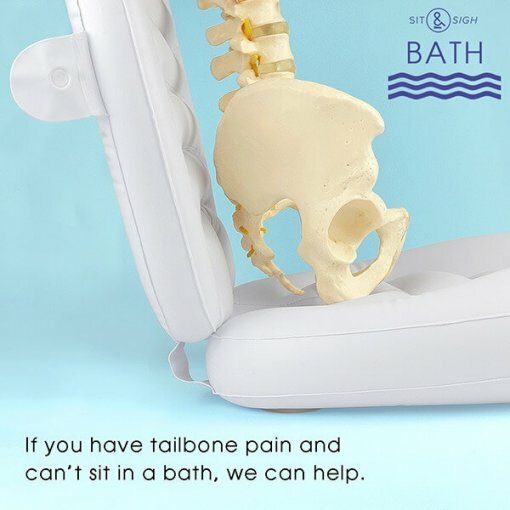 Your tailbone has no direct contact with the bath. 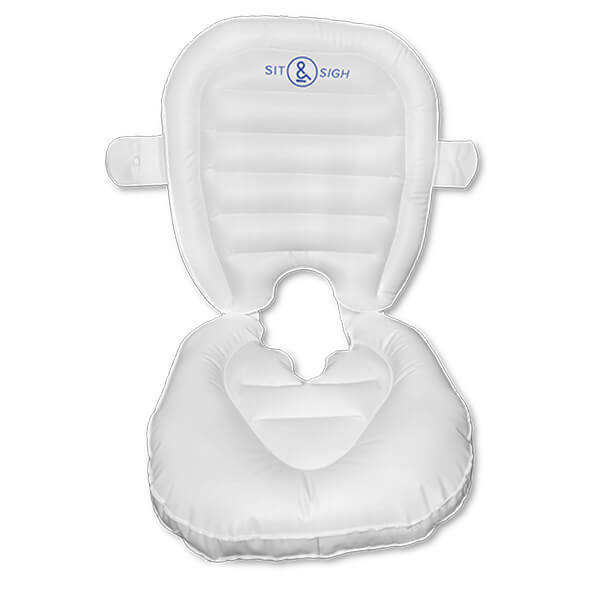 The rear-facing wedge keeps you from sliding forward and 6 large suction cups attach the Sit & Sigh BATH securely. 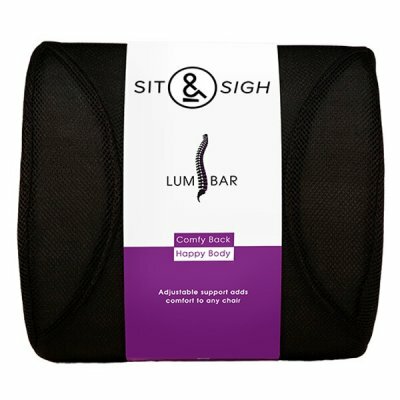 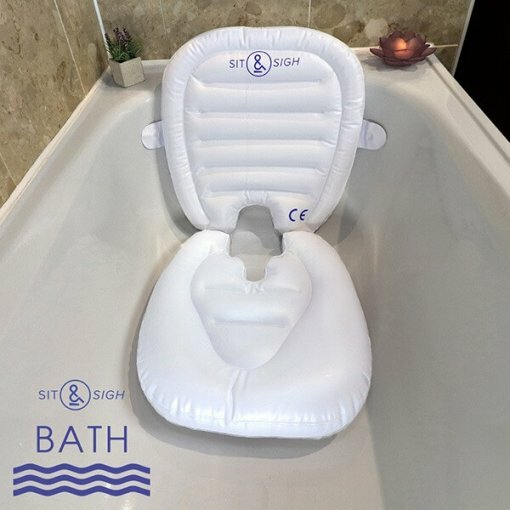 Great for use during pregnancy, for anyone who has injured their tailbone, or for anyone who wants a more luxurious experience in the bath. 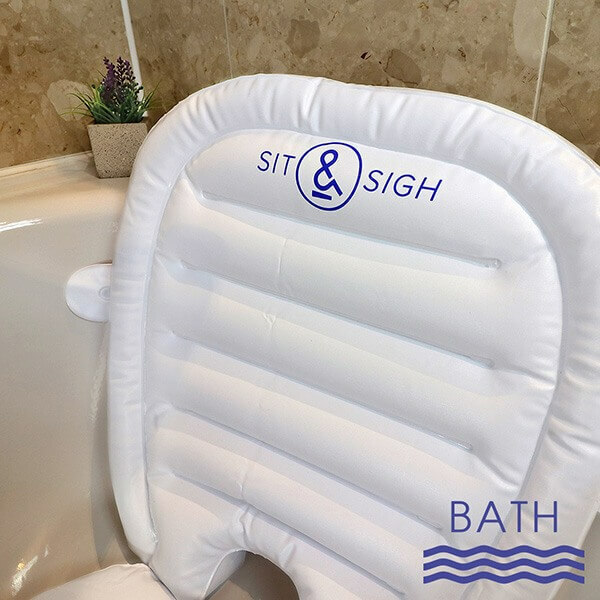 An ideal accessory for older adults as well as those who may have difficulty sitting comfortably. 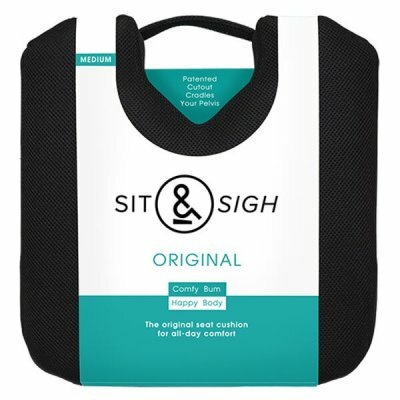 Our cushion provides a softer, safer alternative to a hard bath surface. 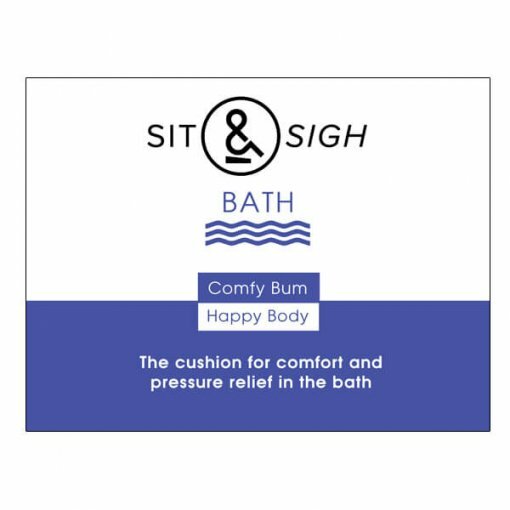 Sit & Sigh strongly advises against the use of bath oils or oil-based bubble bath as this may adversely affect the ability of the product to adequately adhere to the bath surface. 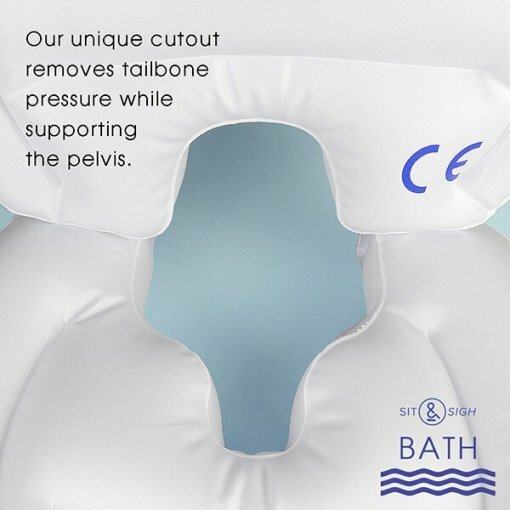 Always test to ensure the product is securely fitted before entering the bath.